“RAA BOMU” Lets have Toddy Try this local alcoholic bevarage, this is fun ! 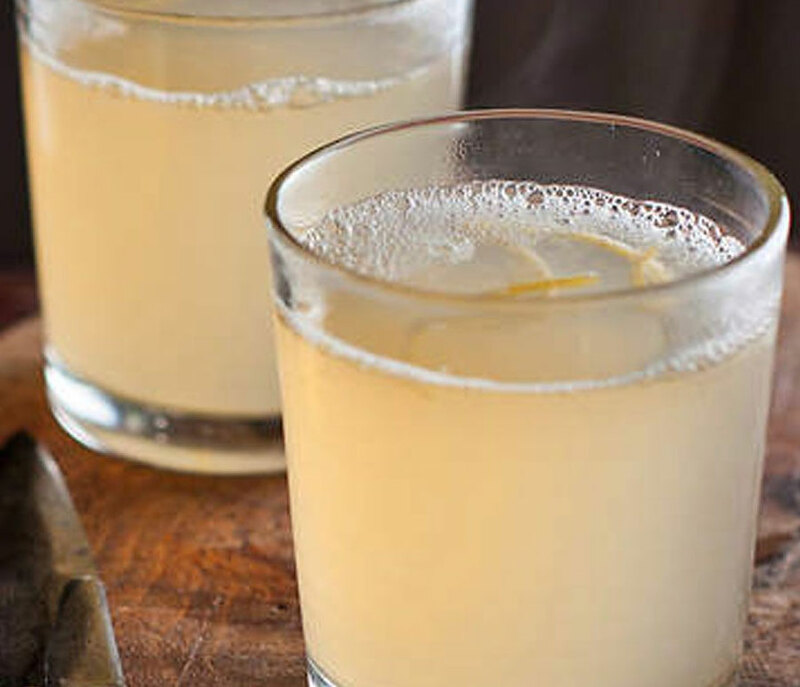 TODDYToddy (Palm Wine) which is a famous local drink in Sri Lanka is a mild alcoholic beverage created from sap of various Palm Trees. 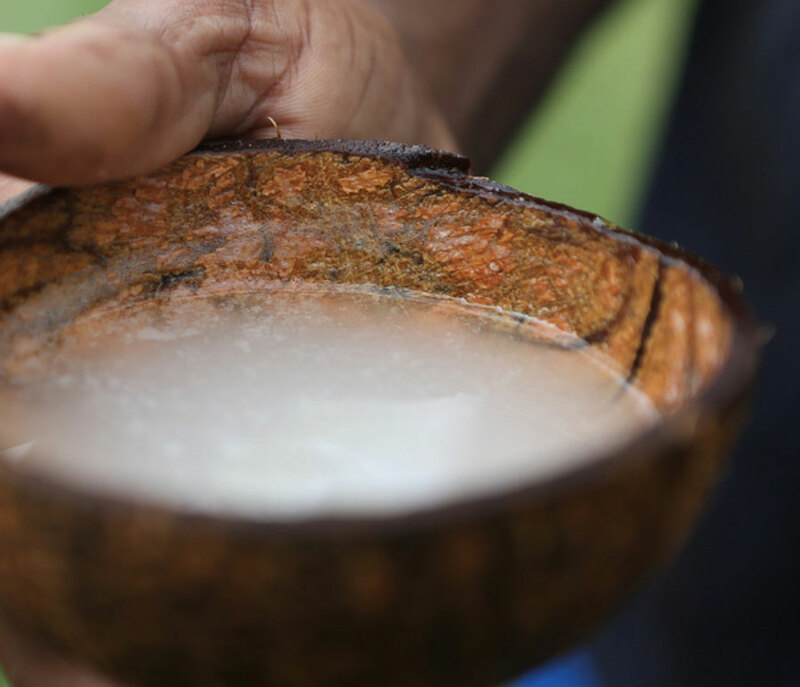 Toddy (Palm Wine) which is a famous local drink in Sri Lanka is a mild alcoholic beverage created from sap of various Palm Trees such as Palmyrah, Date palms and Coconut Trees. The Sap is extracted and collected by a Tapper from the Tree and then will be distributed for Drinking. 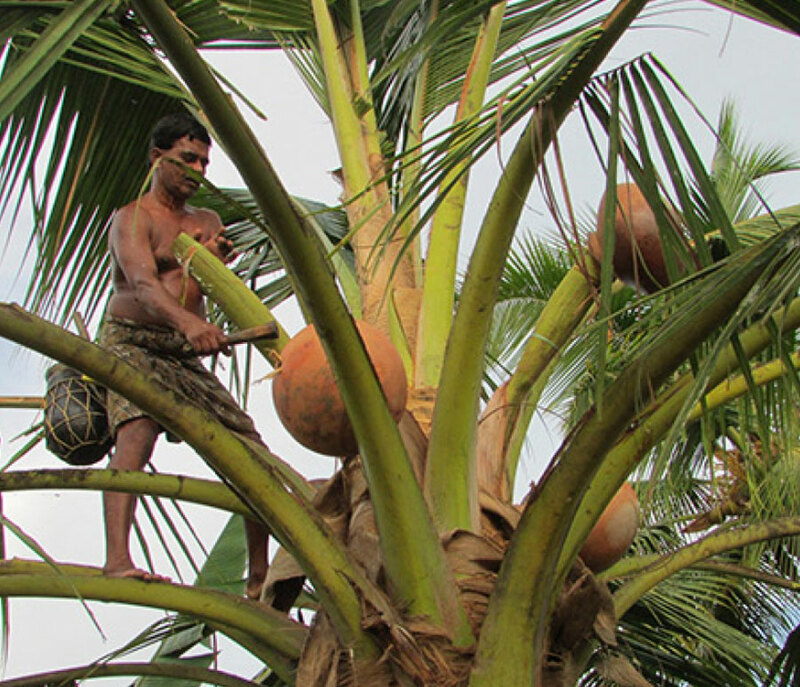 You will be taken to a local village to witness the Toddy Tapping in the morning. 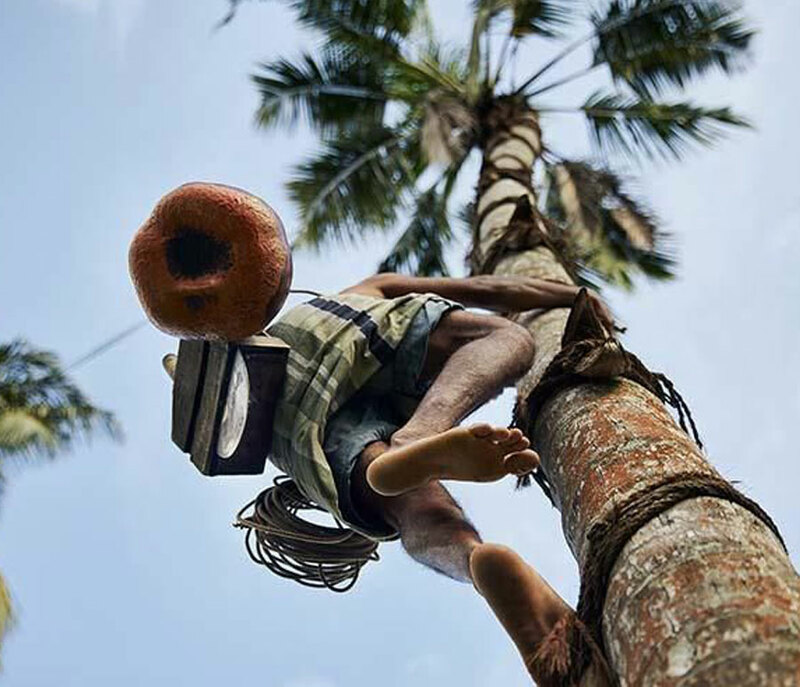 Once the Tapper has collected the sap he will offer you a sip from the Cup which is made out of a Coconut shell. 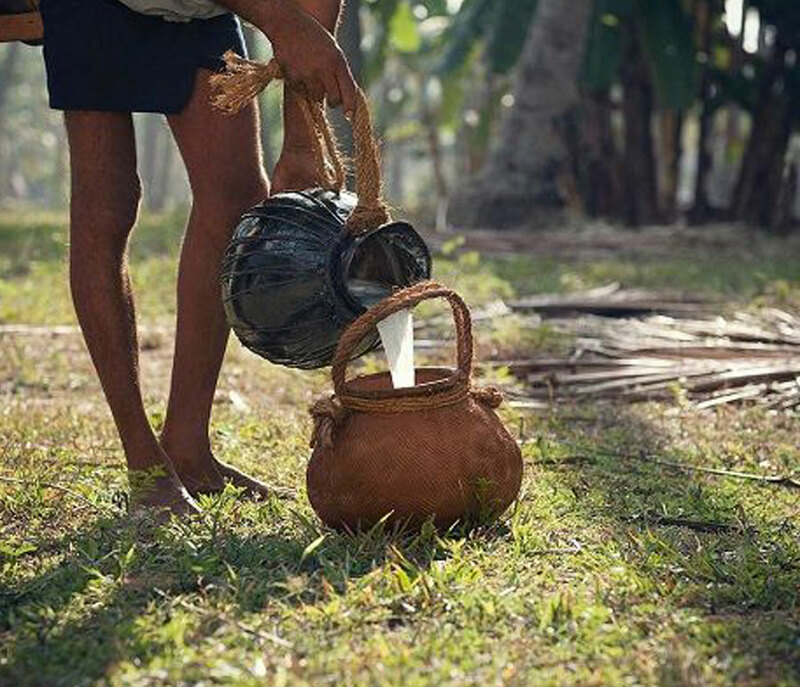 And then you will visit a local village where you will enjoy some more Toddy with the famous Casava + Sambol known in Sri Lanka. After experiencing this village life style you will head to have a sea bath. And then have lunch from a local restaurant and head back to Colombo.